Terriers ended first semester on a down note, dropping a 4-1 decision to another BU, Bentley University. An essentially evenly played first period ended with the Falcons up, 1-0, when a shot from the point was deflected past Matt O'Connor. Early in the second, BU was on a power play when an errant drop pass led to a breakaway by Jared Rickord, who slipped the puck past O'Connor. Four minutes later, an odd-man rush resulted in a third Bentley goal, with Brett Switzer sniping a shot from the circle. 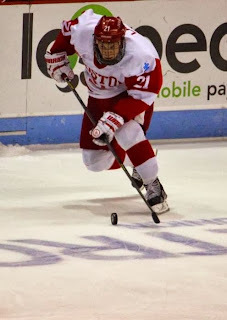 BU got on the board on a third-period power play when Matt Lane (photo) deflected home an Ahti Oksanen blast for his fourth goal. But that was as close as the Terriers got, with a Falcons empty-netter closing out the scoring. The Terriers took only two penalties, killing both, and outshot the Falcons, 43-34, but it was small consolation for BU, which limps into the break at 7-8-2. Amid rumors that sophomore Sam Kurker may leave the program, the USHL Indiana Ice has added him to their protected list. Danny O’Regan and Matt Grzelcyk report to U.S. Junior National Team camp in Minneapolis today. They’ll be joined by 29 other players including 2014 recruit Jack Eichel. United States of Hockey previews the competition for the final 23-man roster. Three future Terriers were on the ice at the Shattuck Jamboree, with the Chicago Mission U18s (2015 recruit Vasili Kolias) taking on the tournament hosts, Shattuck Prep. 2014 recruit Chase Phelps (10-16-24) scored twice—his ninth and tenth goals—to pace a 6-2 Shattuck win. 2016 recruit Clayton Keller (11-12-23) added an assist for the Sabres. 2015 recruit Maxim Letunov scored his tenth goal of the season for Youngstown, but that was the Phantom’s only tally in a 3-1 loss to TriCity. 2014 recruit J.J. Piccinich’s five-game streak of scoring two points in a game came to an end. Yesterday’s snow storm in New England postponed the coaching debut of former BU high-scoring forward and NHLer Shawn Bates as head coach of his high school alma mater, Medford High School. 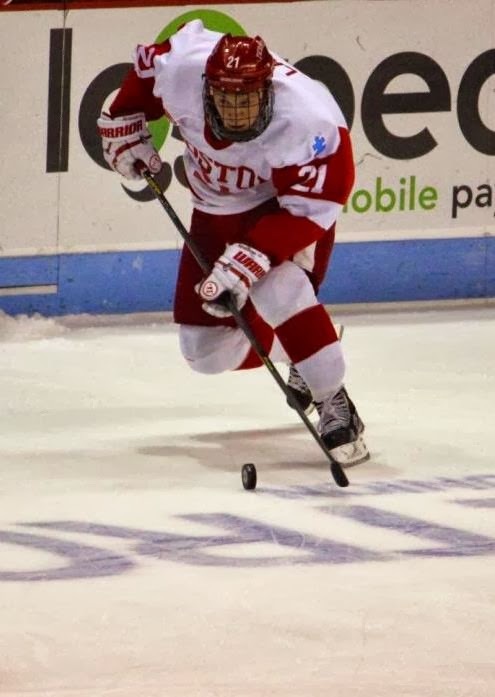 Following in the footsteps of MHS forwards Joe Sacco and David Sacco who became Terrier standouts, Bates played in the Frozen Four in all four seasons at BU, including on the 1995 national champions. He generated a 73-70-143 line in 160 career games. 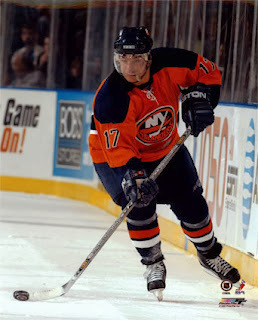 Bates, who played 10 NHL seasons with the Bruins and Islanders, was named to lead the Mustangs over the summer. In recent years, Bates’ Foundation donated a scoreboard to LoConte rink and sponsored scholarships in hockey and baseball, the sports Shawn played at MHS. Medford’s home opener will be Monday, Dec. 23. Former Terrier goalie Grant Rollheiser turned aside 31 Tulsa Oiler shots en route to a 4-0 shutout win for Bramption in CHL action.